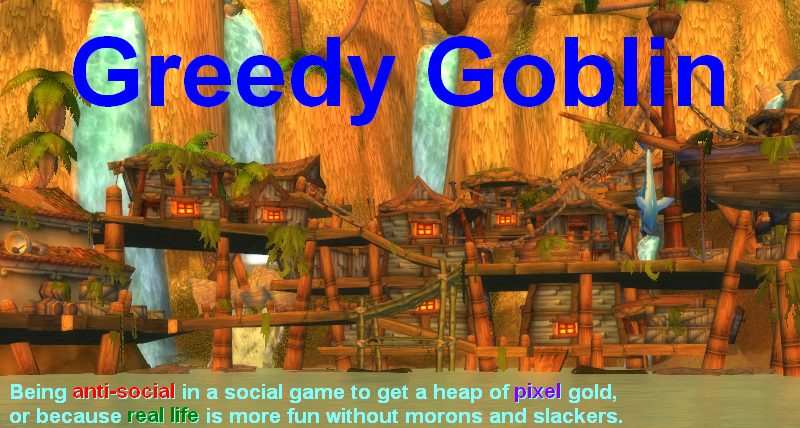 Greedy goblin: Who are the second group of players? Who are the second group of players? You could see yesterday that the players who go to the Looking for Raid feature do not belong to one kind of group, therefore the performance distribution on the players is not a Gaussian, but the combination of two Gaussians. It's like the height distribution of "pets" where some of the pets are dogs and others are cats. Got a terribly noisy dataset with very weak, 0.316 fitting goodness. But it's not a problem at all, as we aren't here to find the connection between ilvl and DPS but to identify the two distinct groups of players. So I started to identify and successively remove data points that are the farthest from the fitting line. Oops! The 80 most unfitting points are almost all above the line. Among the next 40 worst fitting points, 28 are above the line and 12 below. Let's see where these 120 points are and how the remaining dataset looks like? "Newbies" and "Casuals" are the terms used on bad players, who just "need help". Now look at this: the minority group, who has significantly worse performance have much better gear and less gearing mistakes. They clearly have time to farm gear. They seem to have enough game knowledge to gem and enchant. Yet they perform worse than the majority. Who else they can be than leeching slackers? Like in all socialist system where the "weak" gets help, in MMOs the player groups are intruded by leeches who don't make any effort but get their rewards abusing the other players and the socialist systems. When the Looking for Raid feature was first introduced, below-the-tank leeches were kicked routinely. But Blizzard decided that the "newbies and casuals" deserve help and made kicking very hard. This is the result: AFK-ers, autoattackers and bots. So we found the biggest factor of success: effort. There are people who try to succeed and others who just whine, blame "luck" and leech on those who pull their weight. And Blizzard forces us to tolerate them! Well, they can't force me, I unsubscribed again and go back to EVE! PS: the 0.415X in the cleansed dataset means that 1K DPS increase usually means 0.415 ilvl better gear. It does not mean that 0.415 ilvl increase cause 1K DPS increase on average. The DPS is function of more things than Ilvl therefore you can't just form an inverse function this way. Below the click you can find the whole dataset: "distance from average in sigma","ilvl","fails","Link"
For a geared raider, unless you are doing full raid clears on a weekly basis, there is a necessity to go into LFR every week to max out valor. Weekly LFR rewards remain one of the most efficient ways of doing so. Some people even choose to do it before any of the week's raiding happens to max out their valor before any of the week's bosses. Obviously, since to these people that is not "real content", they slack most of the time. And Blizzard does not see any alternative but to cater to that slacking. Now, are the game designers at fault for making a game like that, or is the playerbase at fault for seeing it as okay to slack off when playing together with 24 other people? So am I right in thinking that this actually disproves a widely held belief amongst the WoW community? That being that RF is full of "bad casual" players and that they are only able to kill bosses due to the presence of Normal/HC mode raiders, who are by deliberate design forced to run there and boost the bad players. The figures suggest that there are not masses of HC Raiders boosting anyone, just some not particularly good Normal mode raiders who are AFK'ing and leeching from the "bad casuals"? The question is what do we make of it? Are those players real leeches or are they players who game the system that supports bad players in the first place? Are they the cause or a symptom of this broken system? The system was originally good and was good for a while. It generated those "affluently lazy" players, but they largely did their own thing in their own locked out raids, only becoming a part of the overall player pool in occasional 5-man daily. The problem at that time was the fact that raiders effectively separated themselves from the community and only logged in to raid with their guilds. Community engagement was limited to valor 5-mans, AH interaction and limited PvP for easy access starter epics. Still, many farmed valor and conquest in guild groups and got all they needed from the guild bank. LFR brought these players together with the overall player pool in a bigger way. Now they not only raid with their guilds, but also do LFRs for gear and quick valor. All the while allowing those same players to get away with less personal responsibility. So those players are both the cause of the new system and it's symptom. I think the system broke in WotLK. The WORLD part of warcraft was done the instant they a) removed attunements b) added dungeon finder c) made flight easily accesible. Influx of players that we saw in WotLK was due to people attracted to ez mode. Thing about ez mode though, it is not sustainable in the long run. I'm trying to match the datapoints to the plots, and I'm having a bit of a problem. There are two players listed whose ilvl is 525, but only one of them appears on the charts. The first of these players listed has a huge sigma. Is he off the charts? Also, is it possible that some of the outliers above the line represent players who died during the fight? 2 Players are missing from the second dataset, because I couldn't find them on the armory (could be transfer away), the player you looked for could be one of them. Archanâ would have 145 dps. The displayed range is 25-105. He would not get listed. He however is an outlier and not relevant for this data set. What I find interesting is that there is a huge gap between Archanâ and everyone else. It indicates something, maybe a lack of representation of the raiding community, maybe a low N. Maybe there is a 3rd group that would not participate in LFR. All this shows is how having time to farm and copying the suggestions of some "optimal gearing" program does not make you a good player.